I am a huge fan of the winter Olympics, partly because I grew up in Canada (where most kids can ski and skate before they can run) and partly because I used to participate in Downhill ski racing. Now that I’m a rehab physician (with a reconstructed knee) I’m thrilled to have the opportunity to interview Team USA’s Chief Medical Officer, Dr. Gloria Beim. As we enjoy the Sochi Olympic games via our TV sets, keep an eye out for Dr. Beim! Please read on to get her behind-the-scenes account of what it takes to care for and keep Team USA Olympians in tip top shape. 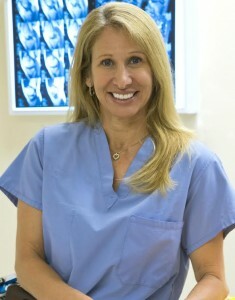 Dr. Val: How did you become the Chief Medical Officer (CMO) for the U.S. winter Olympic team? Dr. Beim: My practice, Alpine Orthopaedics, is located in an area of Colorado that attracts all levels of athletes, especially elite athletes. I initially entered the elite sports arena in a volunteer capacity at major ski and cycling competitions. Fortunately, my skills and knowledge were noticed at these competitions, which resulted in my servicing a number of medical teams that parlayed me into the world games and Olympic arena. I believe my collaborative, tireless work ethic led to being part of the 2004 and 2012 Olympic Games and as CMO of the 2011 Pan-American Games. Most recently, I was a physician at the World Cup Ski Championships in Beaver Creek, Colo. Between my private practice and my volunteering, I am honored to have been appointed CMO for the Sochi Olympic Winter Games. Dr. Val: What does being CMO mean? Dr. Beim: It means overseeing 77 other health care professionals and taking care of 228 U.S. Olympians. As CMO, I work in tandem with a team to deliver the highest level of care to our athletes. We are using the latest technology, evaluating a mix of treatments to ensure peak performance, and are ready to respond to whatever might come our way. It means working long and busy hours during the Games, where the team is faced with everything from common colds and illness to traumatic injury. 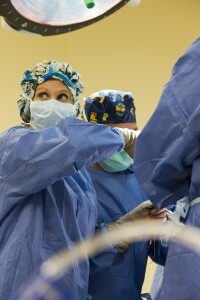 It also means having compassion and understanding while applying your medical expertise in a fast-moving environment. The days can be long, but it is always rewarding to see our athletes rebound and put their best performance forward. It’s an honor to be a part of that process. Dr. Val: Give me a “behind-the-scenes” description of what the medical support of the athletes looks like. Dr. Beim: Well, it looks pretty much like any medical clinic you might be familiar with. There have been dozens of boxes shipped to Sochi in preparation for caring for our athletes. Our doctors can see everything from coughs and flu to sprains and breaks. As a result, we have a very comprehensive team assembled to address whatever health-related need might come through the door. We look at the mix of care providers, such as athletic trainers and physical therapists or chiropractors and massage therapists, to assess and provide the best solution to the problem. Our goal is to have our athletes back on the slope, track or rink as fast as possible, performing at their peak. I have been learning to speak Russian to interact with local hospitals and facilities. We need to be able to communicate our needs quickly and accurately. At other Games, I have found learning the local language to be valuable in the overall care we can access for our athletes. In addition, it is a lot of fun! I really enjoy communicating with the locals and I know they enjoy it, too. Dr. Val: Does each country bring their own EMS/MDs/coaches? Dr. Beim: Many countries bring their own medical team, but not all. The athletes do have access to a polyclinic located at the villages, which can address most of the medical issues that can arise during the Games. These polyclinics are generally staffed with excellent physicians and specialists in many areas, as well as a lot of diagnostic equipment and a full pharmacy. Team USA also will have access to these great polyclinics; however, it is quite efficient and simple for our athletes to receive care and recovery modalities in our own sports medicine clinics. Dr. Val: Who cares for the athletes if there is a life-threatening injury? Dr. Beim: There would be a team effort between doctors/specialists/emergency providers from the Olympic Organizing Committee and our Team USA doctors. We feel confident that through our collaborative efforts, we will be able to care for our athletes in just about any situation. Dr. Val: What kinds of on-site medical facilities are there (one at each event or just a centrally located area)? Dr. Beim: We are fortunate to have a very comprehensive medical area to treat our athletes. There is a polyclinic at both the coastal village and the mountain village, which will have some imaging capabilities and several specialists as well as a pharmacy. We always will have one of our physicians with the team during training and competitions at the various sites. This gives us the flexibility to provide immediate care should the situation arise. Dr. Val: How are injuries being prevented? Dr. Beim: Preventing injury is part of the support we provide. Aiding athletes and coaches to condition appropriately and prime their bodies with good nutrition and recovery efforts while in Sochi is all part of the “whole” care we provide to Team USA. We can use technology to assess and evaluate to ensure our athletes are at their peak to perform. The travel and extreme competition can take a toll on a body. We do our best to keep the athletes healthy in every respect. Dr. Val: Are there any new technologies being used by the US medical team in Sochi? Dr. Beim: One of the tools we use is GE Healthcare’s Centricity software. This tool is really amazing and provides our physicians and athletes the ability to communicate health information instantaneously and securely. The software maintains diagnostics, treatment evaluations and test results, and it can all be accessed virtually. This is especially critical when you’re traveling from venue to venue in another country. I have implemented this same software in my private practice through Quatris Health. Now, no matter who is involved in the patient’s care, the health care professional has easy access to all the critical information and can respond accordingly. We also have several GE ultrasound machines that we travel with, which is an incredible diagnostic tool for many musculoskeletal injuries. Dr. Val: How might other young physicians follow in your footsteps? Dr. Beim: I would encourage any physician that aspires to this kind of appointment to begin connecting with officials in their area of interest. My work with the U.S. Cycling Team helped build my reputation among other elite sports organizations, where I was able to establish relationships and convey my interest in working with them. It can take a lot of time volunteering, but the work is invigorating and stimulating because you learn so much in the process. I really believe I am a better physician and surgeon because I have had the chance to work in these situations. I can bring that experience back to my private practice, which elevates care for everyone.